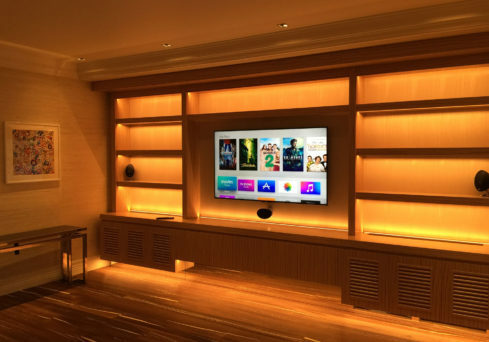 The latest projects from the Visionworks team – including home cinema systems, automation, surround sound, music systems and CCTV security systems. 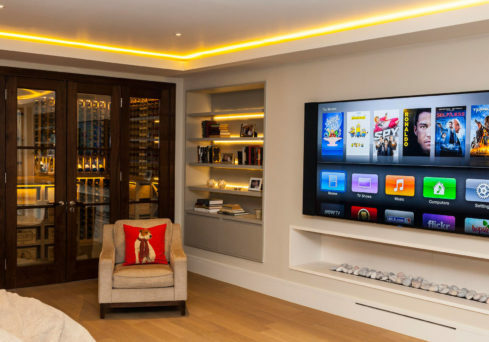 Project: Fully integrated smart-home system for new London mansion. 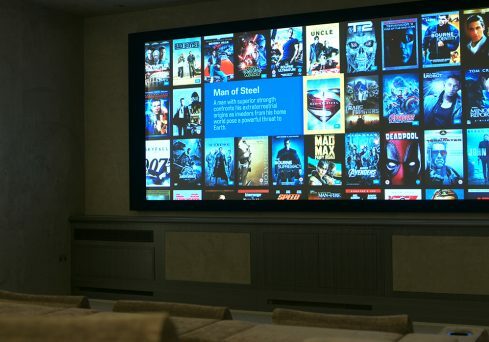 Project: dedicated cinema room in basement of London family house. 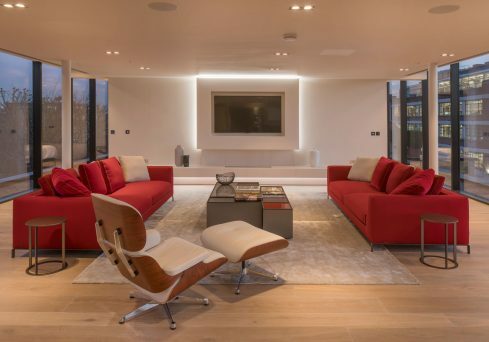 Project: Luxury apartments in Campden featuring multiroom TV and music with intelligent lighting control. Project: unique refurbishment and extension of Grade II listed manor house. 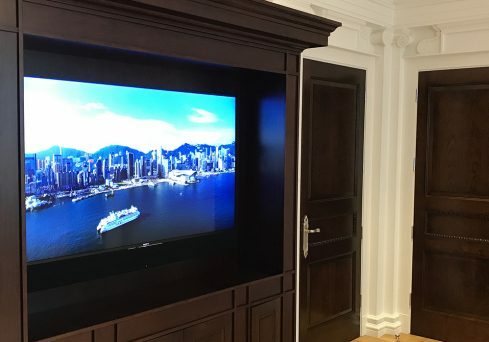 Lighting control, TV and music to all principal rooms, plus high-end surround sound and music for main reception room. 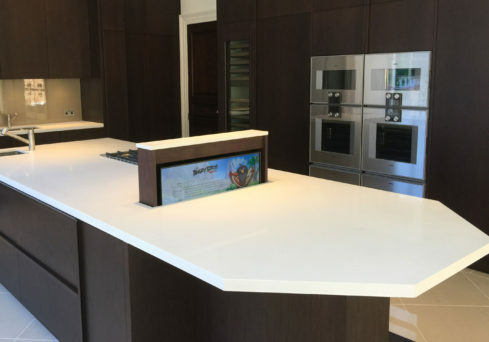 Project: concealed TV within Kitchen island unit, with ability to view from any position in room. Project: high quality music system in an interior-designed living space, with lossless quality central storage for a large CD music collection. Project: installation of door intercom and CCTV system. 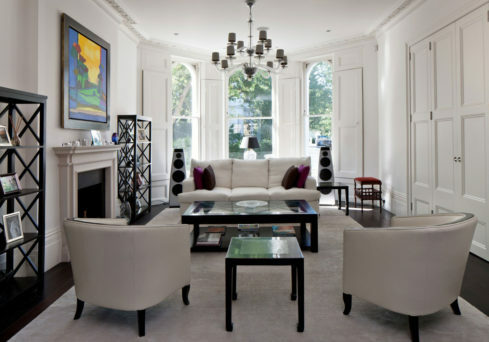 Music to all rooms, and 2 large screen reception rooms with cinema surround sound. Project: large screen TV room for family use, with all-in-one control of TV, lights and fireplace. 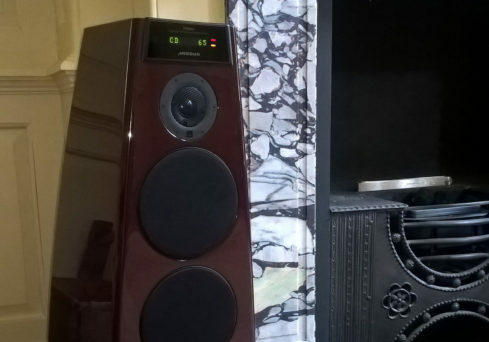 Project: install a high quality music system into drawing room of a Grade-II listed country house.